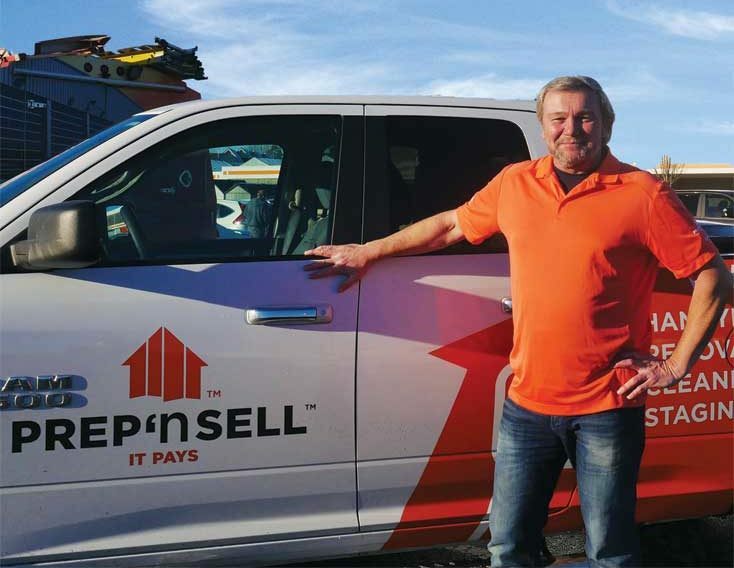 Many factors aligned for me to own and run my Prep ‘n Sell franchise in Langley, B.C. With three grown children and the need for a new challenge in my professional life, I took considerable time to review my options before making a choice. I have always had a passion for real estate and renovations and felt there was room for a more customer-focused approach. So, when I read about this made-in-Canada opportunity, I was all in! I was born and raised in Sault Ste. Marie, Ont., where I grew up with one brother and four sisters. You might say I had a storybook childhood, climbing trees and playing sports all day. My dad and my brother, who’s 10 years older than me, played hockey and I followed in their footsteps. I still enjoy the game to this day. My mother told me I was always trying to be in charge when I was young. For example, I was the one to organize our neighbourhood baseball and hockey games. I found school was not overly challenging and I ended up spending a lot of my time socializing and being ‘the entertainer.’ Math came easy to me. I found some aspects of science interesting and others not. One class I enjoyed in high school involved drafting and home design. My father, who worked at a steel plant by day, was an excellent craftsman. He built furniture and, indeed, the house in which we grew up. He was self-taught and an excellent learner. I remember making an elaborate cutting board at school and when I brought it home, my dad figured out how to make beautiful furniture the same way! My first jobs included working at McDonald’s, back when the minimum wage was $2.15 per hour—and I would get three-hour shifts, so I would only make $6.45 before taxes, which is pretty funny when I think back to it. I also worked at a Zellers department store when it opened at a new local mall. Up until the age of 15, I took a ‘take it as it comes’ attitude to my life, but then I started to feel some trepidation over what I was going to do in the future. I knew I didn’t want to stay in Sault Ste. Marie and work at the steel plant, which was the town’s biggest employer. It just wasn’t for me. So, when I turned 18, I moved to Ottawa to study business at Algonquin College. My brother had moved to that city to study, too, and went on to build a very good career as an accountant with the federal government. My own college experience took a bit of a more interesting route. The course material was very dated. Our teachers had all run their own businesses, but 15 years prior. You could tell from the examples they provided, like how to do visual marketing with storefront windows; everything just seemed a little too old-fashioned.